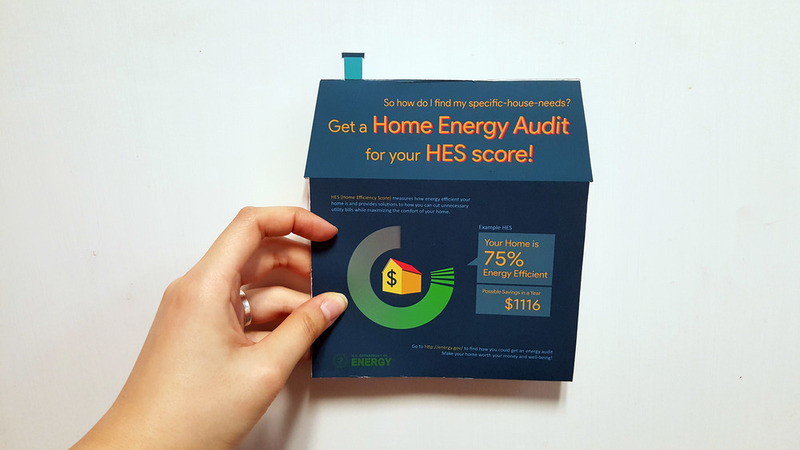 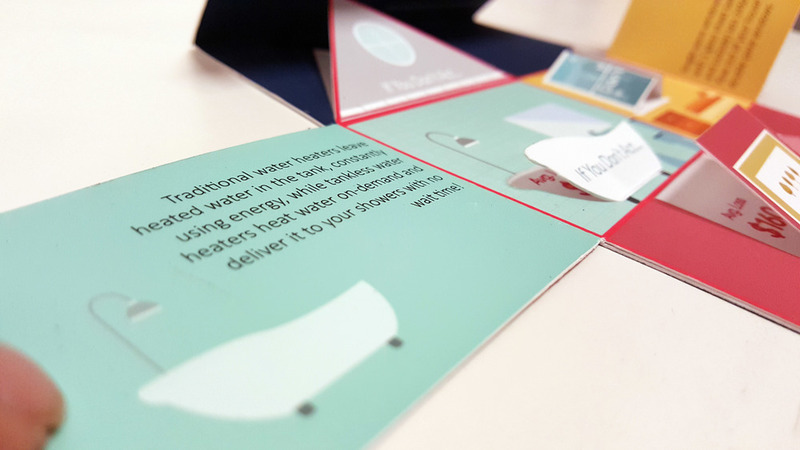 A client-based project on redesigning the Home Efficiency Score (rates how energy efficient a house is) for easier readability and clearer communication. 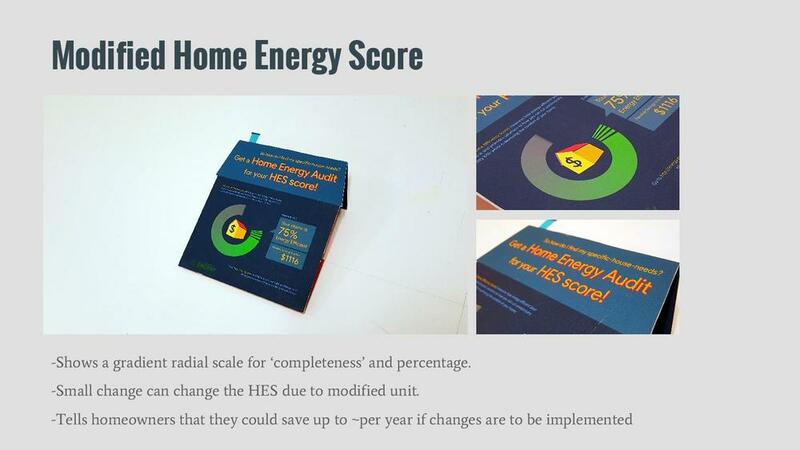 I also had to design a way for encourage Pittsburgh homeowners to get an energy audit and implement efficiency changes. 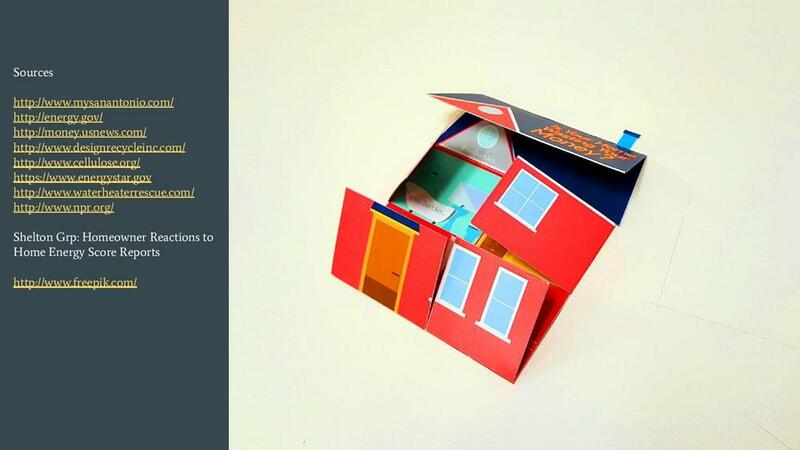 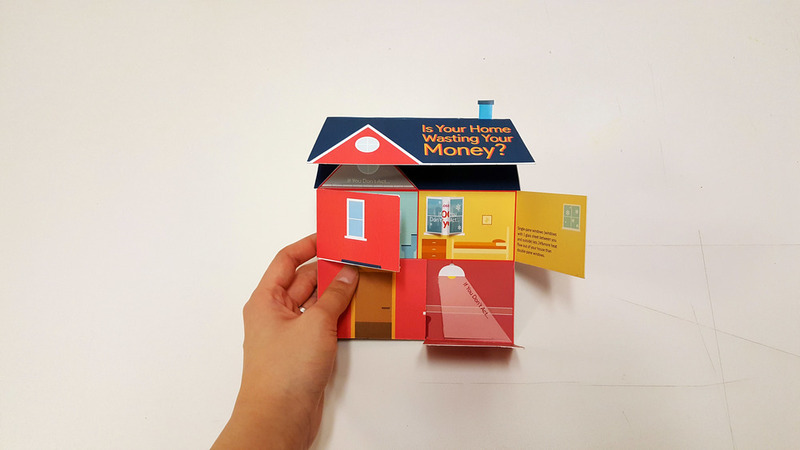 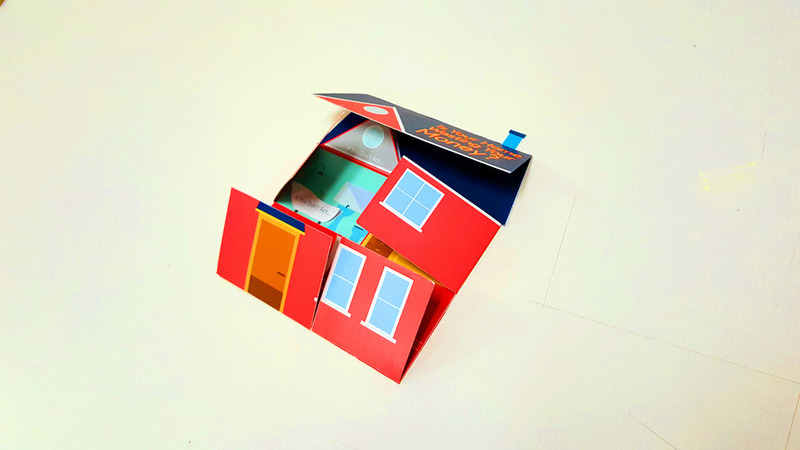 I created a print based, interactive piece that puts emphasis on financial gain and comfort in homes. 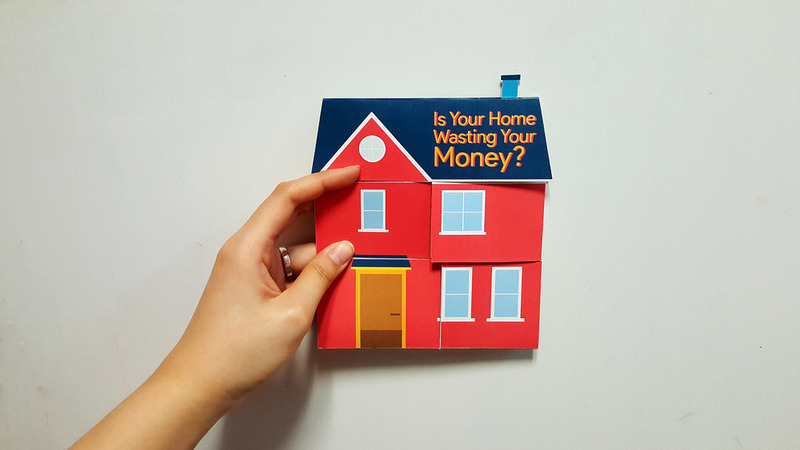 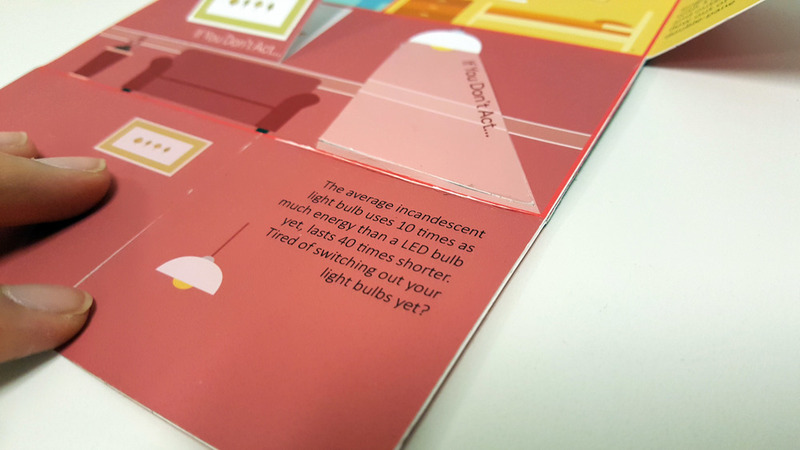 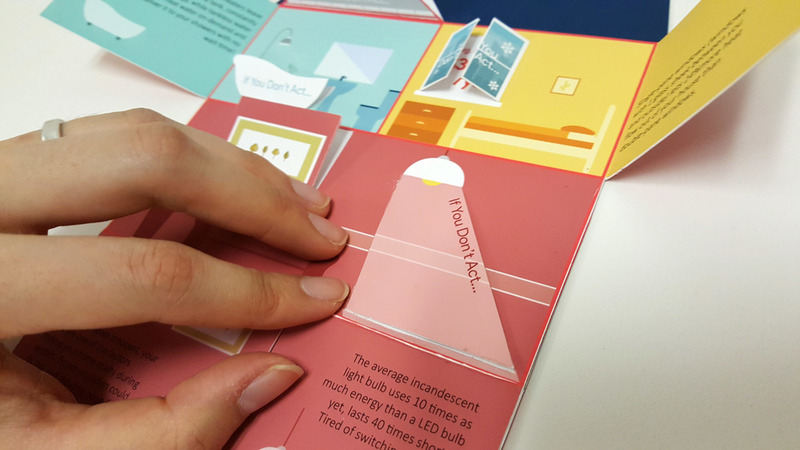 Readers can open each flap to see energy efficient methods of home utility and annual loss of money due to non-efficient operations. 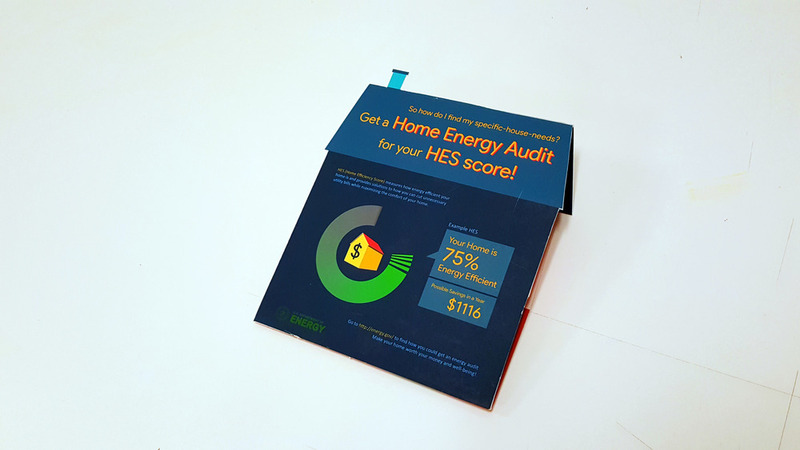 The HES score was also modified to be relatable, goal-setting, and visually attractive. 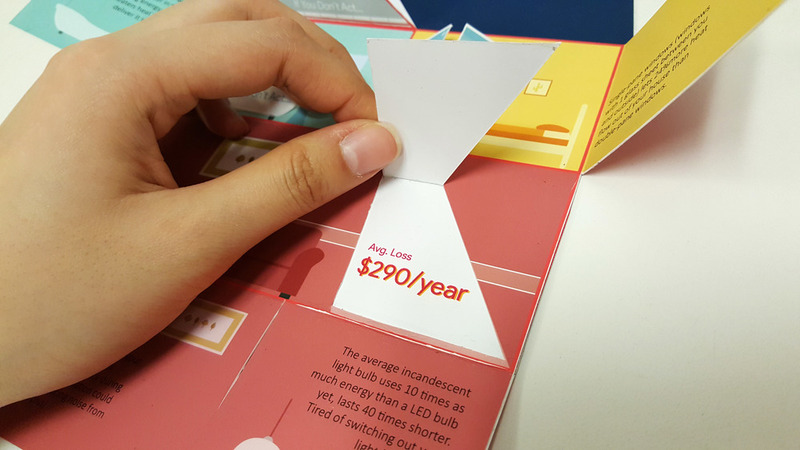 At the end of the project, I presented my idea proposal and focused approach to audience to the project client, Time Carryer. 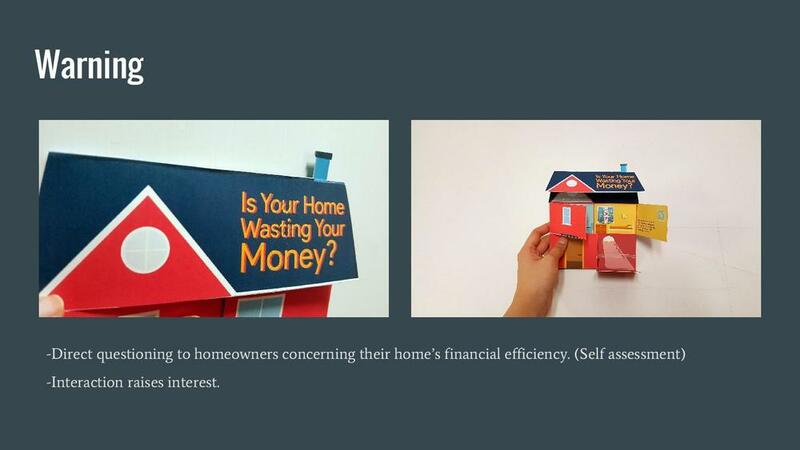 My emphasis was on the unique, fun advertisement method and concentration on money and empathy.